Just arrived in Mechelen, a lovely Belgium historical centre going back to 1200 or so (photo left just taken by me, ten minutes ago!). After the usual gruelling 21+ hour flight from Sydney to Europe I had lunch with Annet Daems (who is running the conference) and we are both ready for two days of great panels looking at topics ranging from the truth about experience design, cross-media business models, mixed-reality, new forms of democratised and converged journalism, social networks, personalisation, new x-media technologies and marketing and all keeping focussed on the topic of cross-media storytelling. I will be looking at the cross-media learnings from LAMP, AFI and BBC and looking forward to mixed-media cross-reality. I will be using various media journey and ‘form’ diagrams and making reference to my recent wikipedia entries on cross-media and story environments. Cross-media Storytelling 2007 is an essential presentation and round-up of outreach efforts in Cross-media for journalism, entertainment and marketing communication. At the conference the current state of cross-media storytelling is explored by focusing on media and audience analysis, user experience, information/communication models and strategies, interactive information scenarios, all in close relation to new editing, broadcasting, communication and advertising technologies. Your speech friday at the Cross-Media Storytelling Conference was very much worth your ‘gruelling 21 hour flight’! It would seem I was not the only one with this idea, since you were quoted constantly in other speeches. Thanks for sharing your thoughts with us. 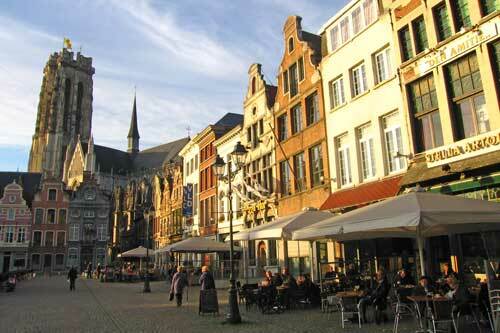 Mechelen seems like a distant memory now as I just landed yesterday after a UK and US whistle-stop trip. Good to know some things were repeated even if it was based on my “stop calling them users and Community Created Content” rant 😉 But I enjoyed the conference as it gave me a good perspective into continental European thinking and progress. It was good to hear some of the practitioners from Belgium and Holland especially and again thanks to Annet Daem for setting the whole thing up.